WASHINGTON, Feb. 20, 2013— Digital cameras, medical scanners, and other imaging technologies have advanced considerably during the past decade. 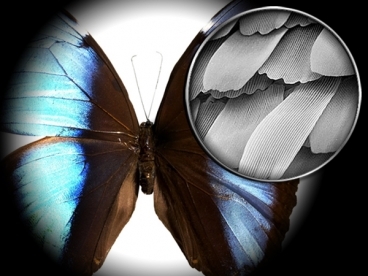 Continuing this pace of innovation, an Austrian research team has developed an entirely new way of capturing images based on a flat, flexible, transparent, and potentially disposable polymer sheet. 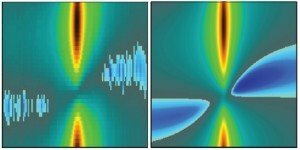 The team describes their new device and its possible applications in a paper published today in the Optical Society’s (OSA) open-access journal Optics Express. 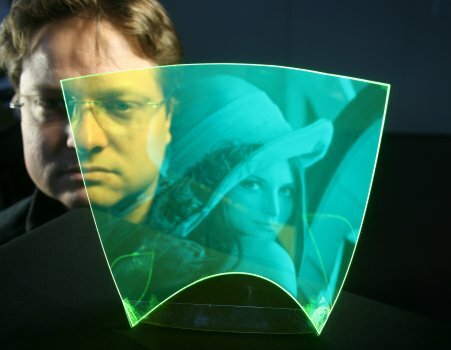 The new imager, which resembles a flexible plastic film, uses fluorescent particles to capture incoming light and channel a portion of it to an array of sensors framing the sheet. With no electronics or internal components, the imager’s elegant design makes it ideal for a new breed of imaging technologies, including user interface devices that can respond not to a touch, but merely to a simple gesture. A long-time staple of science fiction is the tractor beam, a technology in which light is used to move massive objects – recall the tractor beam in the movie Star Wars that captured the Millennium Falcon and pulled it into the Death Star. While tractor beams of this sort remain science fiction, beams of light today are being used to mechanically manipulate atoms or tiny glass beads, with rapid progress being made to control increasingly larger objects. Those who see major roles for optomechanical systems in a host of future technologies will take heart in the latest results from a first-of-its-kind experiment. UK researchers have discovered a new use for metal-organic frameworks (MOFs) - as potential lighting devices. 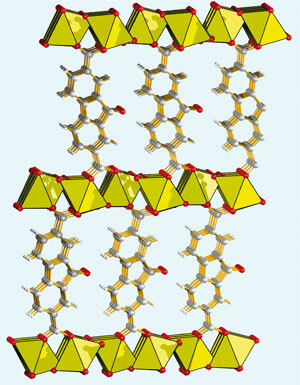 MOFs consist of inorganic nodes connected by organic linker molecules to form three-dimensional molecular cages. So far MOFs have attracted interest as a way to store gases such as hydrogen or carbon dioxide, or as novel catalytic materials. Now, Anthony Cheetham from the University of Cambridge and colleagues have shown that MOFs can also act as a novel source of white light. Weak gravitational lensing is a uniquely promising way to learn how much dark matter there is in the Universe and how its distribution has evolved since the distant past. 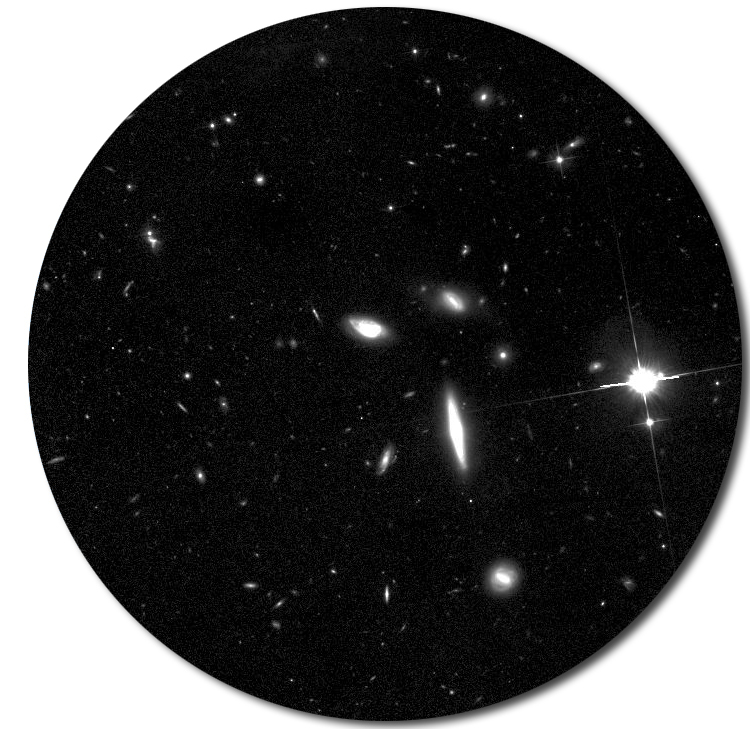 New work by a team led by a cosmologist from the U.S. Department of Energy’s Lawrence Berkeley National Laboratory has made major progress in extending the use of gravitational lensing to the study of much older and smaller structures than was previously possible. Until recently, weak lensing had been limited to calculating the total mass of relatively nearby groups and clusters of galaxies. Their total mass includes both ordinary, visible matter like stars and dust – what astronomers call “baryonic” matter – plus the much more massive invisible concentrations of dark matter that form groups and clusters by pulling galaxies together. Quantum mechanics could help build ultra-high-resolution electron microscopes that won't destroy living cells, according to MIT electrical engineers. Electron microscopes are the most powerful type of microscope, capable of distinguishing even individual atoms. However, these microscopes cannot be used to image living cells because the electrons destroy the samples. 'Frankencamera': A Giant Leap For Digital Photos? It's big. It's ugly. And it's made from recycled parts, at least for now. It's called the "Frankencamera" — and it might someday change the way you take pictures. Computer scientists at Stanford University say the new camera works something like an iPhone: It can be altered in nearly infinite ways, depending on the applications downloaded to it. 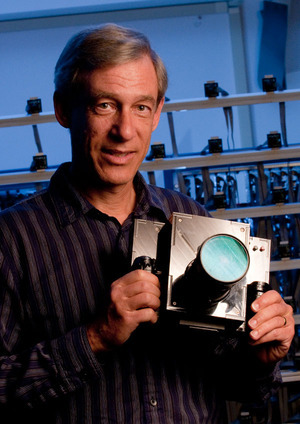 Even the best digital camera on the market today has lots of limitations, the professor behind the prototype, Marc Levoy, tells NPR's Guy Raz. Read more: 'Frankencamera': A Giant Leap For Digital Photos?